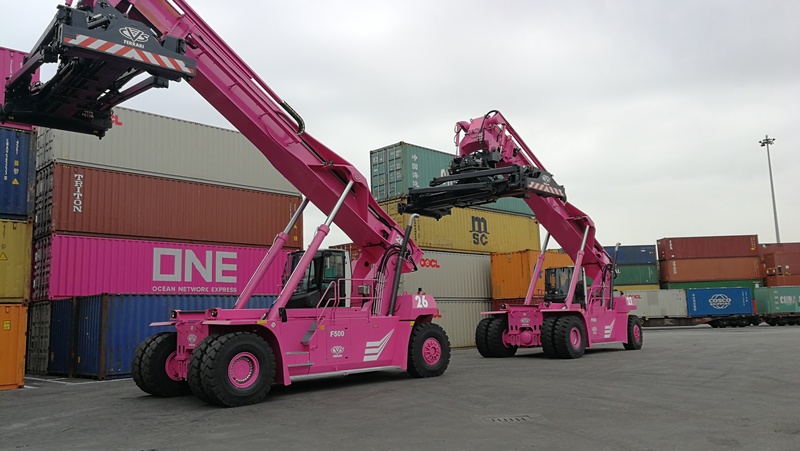 Three new reach stackers have just been delivered in Rail Hub Milano. 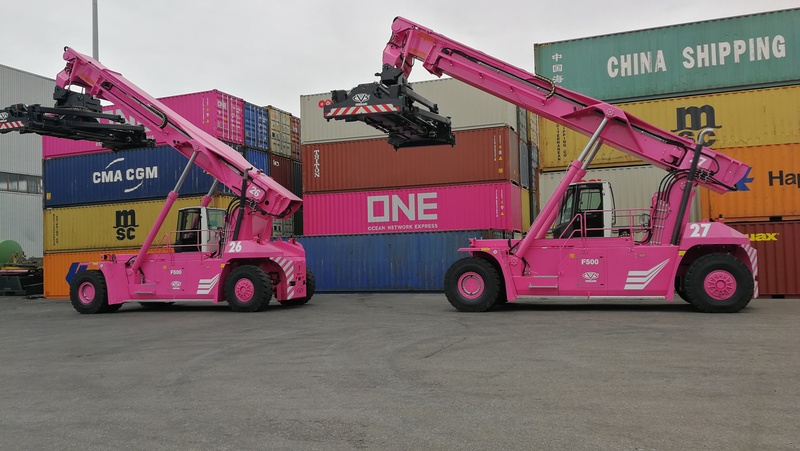 The stackers are equipped with range-finding technology and can operate on lower energy requirements, reducing CO2 consumption per handled TEU – the new cranes are therefore helping to support terminal sustainability as they are working alongside the existing 1,000m solar panels that surround the terminal area. The new RS4 stackers are equipped with telescopic spreaders that allow top and bottom pick, completely built in high tensile strength steel in order to optimize dead weight reduction. The F500-RS4 is one of the most reliable vehicles for handling rail cargo, also thanks to on board technology that allows operators to see container weight, balance of load and position on the train. Contship Italia’s Rail Hub Milano, located in the center of the region Lombardia, is ready to manage the forecasted increase in rail volumes. The hub, which acts as bridge between sea and land, will confirm its strategic role once Contship’s maritime terminals in La Spezia, Gioia Tauro and Ravenna will be upgraded. Expansion projects in Garibali and Canaletto Piers in La Spezia will bring the terminal rail throughput up to 50%, while Gioia Tauro will soon become a gateway port thanks to the ongoing development of a new Railway Hub inside the port.